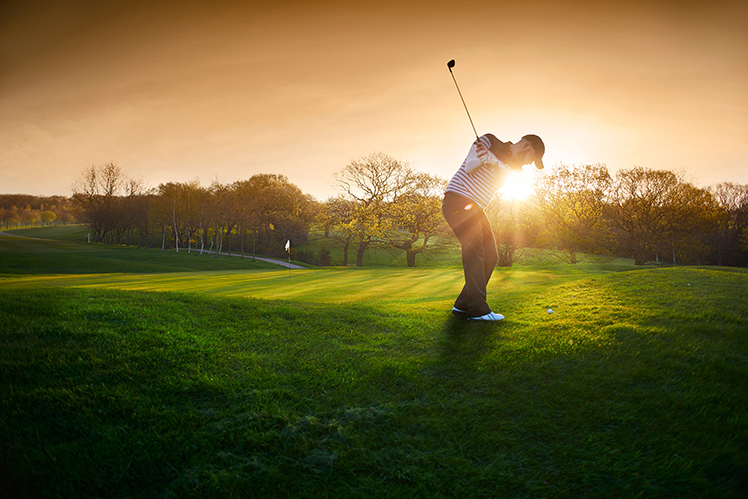 Choose from our selection of Stay & Play Golf Packages and save on accommodations and Niagara Parks golf courses. Whether you’re looking for a one-night stay or an incredible golf weekend escape, Niagara Parks has something for every golfer. All prices are in Canadian dollars and include tax. Rates below are Spring Weekday Rates. Play one round at our 18-hole Whirlpool Golf Course. 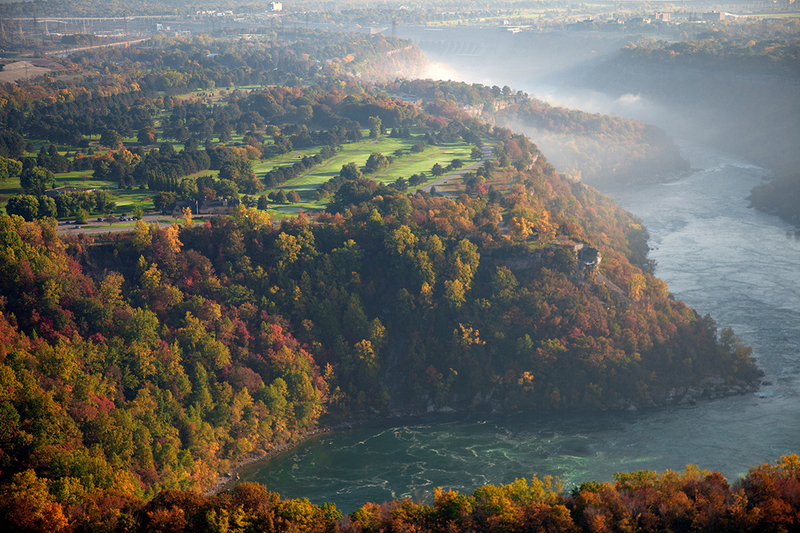 This stunning, Stanley Thompson-designed classic overlooks the Niagara Gorge and whirlpool rapids. 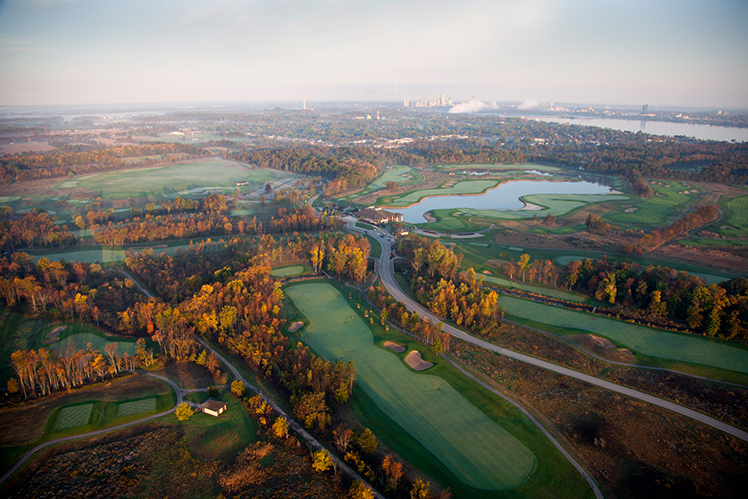 "The Whirlpool Golf Course demands your respect - if not because of its beauty, then because of the nature of its design and levels of challenge"
Play 18 holes on Battlefield, the north course at Legends on the Niagara. Golf Architect Douglas Carrick's unique and challenging creation features fairways that sweep across a gently contoured countryside, giving the golfer breathing room from both off the tee and as they approach the green. "Manicured well and kept in great condition, I highly recommend it to others looking for a comfortable round in a great part of the province." On the south side of Legends on the Niagara is one of Thomas McBroom's finest masterpieces: Ussher's Creek. These 18 holes feature thick stands of deciduous trees, wetland hazards, knee-high fescue rough, and impeccable conditioning from tee to green. 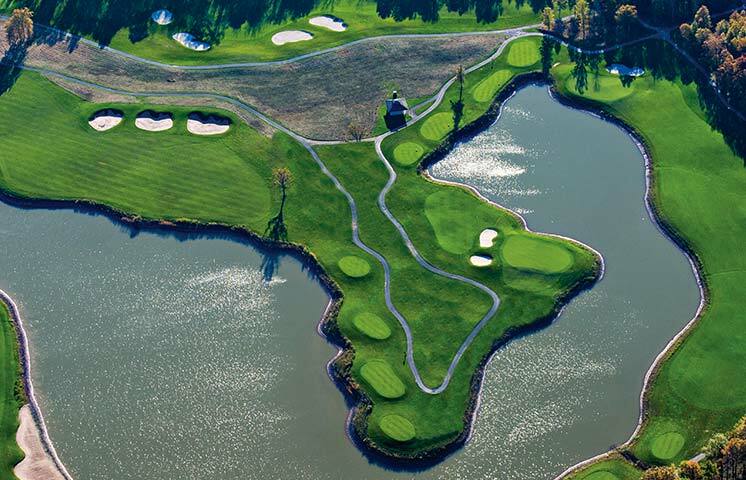 ""Ussher's Creek is quite simply an amazing golf course. The course winds through tight treelines at times and at other times opens up into a links style golf experience."" Stay for two nights at the Best Western Cairn Croft hotel or Comfort Inn Lundy's Lane, or ask us about alternate accommodation options. 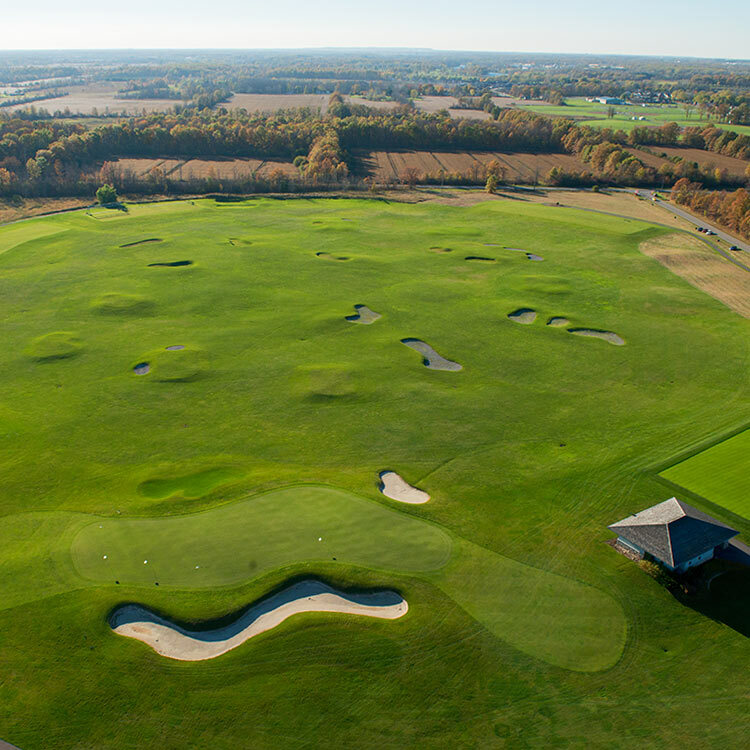 Unlimited use of our 360° driving range. This one-of-a-kind range spans 45 acres. Perfect your drive surrounded by the breathtaking views that keep golfers coming back again and again. 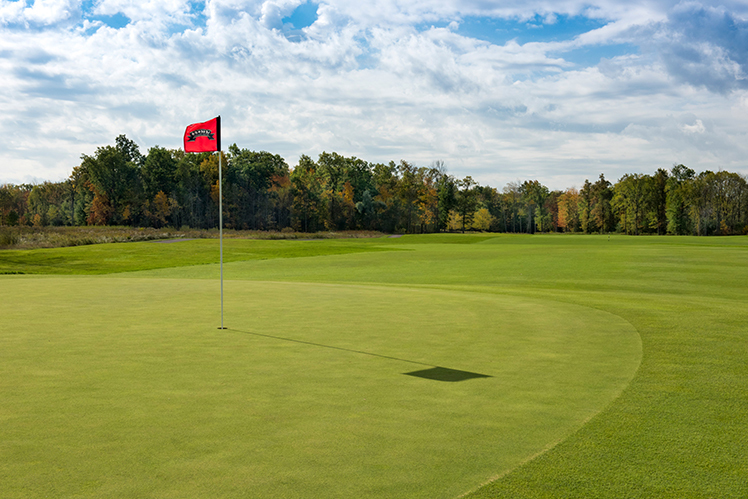 Unlimited play on our challenging 9-hole Chippawa Course, at Legends on the Niagara. This is the perfect complement to the larger, 18-hole courses at Legends on the Niagara. Enjoy special same-day replay rates during your stay. "Ussher's Creek is quite simply an amazing golf course. The course winds through tight treelines at times and at other times opens up into a links style golf experience." Stay for one night at the Best Western Cairn Croft hotel or Comfort Inn Lundy's Lane, or ask us about alternate accommodation options. Play 18 holes on Battlefield or Ussher's Creek at Legends on the Niagara. Golf Architect Douglas Carrick's unique and challenging Battlefield course features fairways that sweep across a gently contoured countryside, giving the golfer breathing room from both off the tee and as they approach the green. On the south side of Legends on the Niagara is one of Thomas McBroom's finest masterpieces: Ussher's Creek. These 18 holes feature thick stands of deciduous trees, wetland hazards, knee-high fescue rough, and impeccable conditioning from tee to green. Choose from one of these hotel options when building one of the Stay & Play packages above, or ask us about alternate accommodation options. 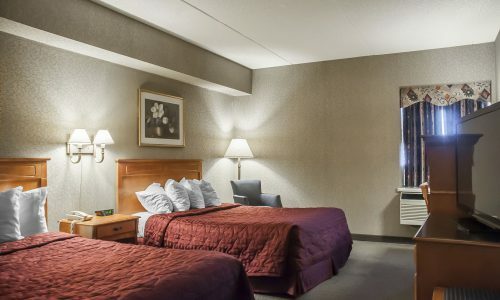 The Best Western Cairn Croft hotel is conveniently located in the heart of Niagara Falls, with its historic Lundy's Lane location. This resort-style Niagara Falls hotel is just one and a quarter mile from one of the world's natural wonders: Niagara Falls. 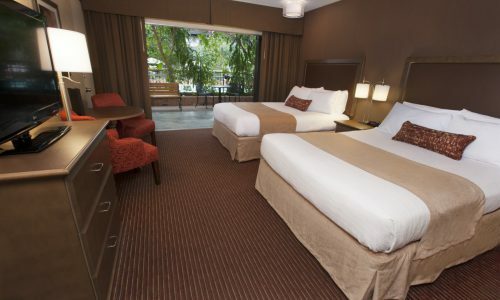 The Niagara Falls Comfort Inn Lundy’s Lane hotel offers a variety of well-appointed rooms and onsite amenities, it’s a great place to stay while visiting Niagara. 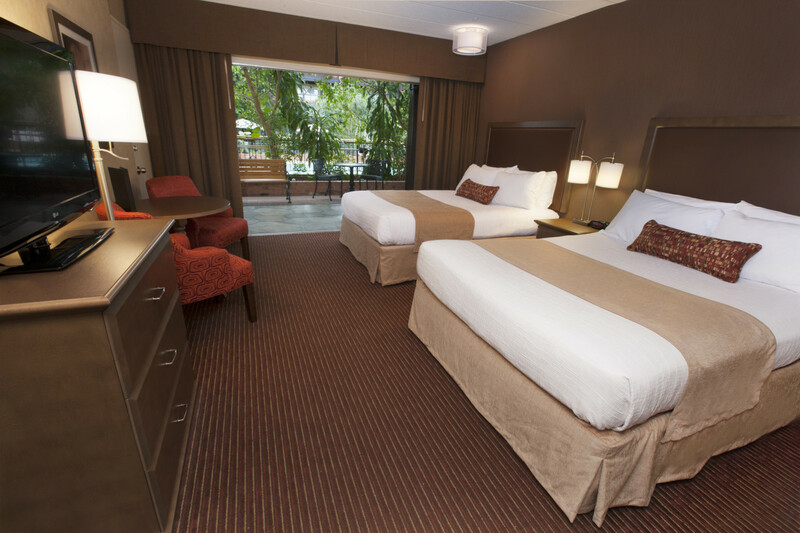 The hotel is just steps away from shopping, dining, entertainment options and just a short drive or shuttle to the Falls view area and many of Niagara’s amazing attractions.